This is a further update regarding police searches of foreigners in Bangkok. From my conversations with tourists (and potential tourists) to Bangkok, this seems to be one of the big concerns on tourist minds at the moment that is putting tourists off from visiting Thailand. Unfortunately, since my last post on the topic (available here: https://petertorjesen.wordpress.com/2015/01/16/update-to-tips-that-you-didnt-know-for-getting-the-most-out-of-bangkok-part-two/), it would seem that the issue hadn’t died now completely. There were still some reports of stop and searches (although not at the same rate as before). The pamphlet that I spoke about in my previous post actually became difficult to obtain. I even heard anecdotally of people going to the Thong Lor police station and asking for a copy and being given a wall of silence (and no pamphlet). The Police Colonel that was in charge of Thong Lor police station (who did at least take the step of having the pamphlet created) has been moved to a police station in the provinces. A new Police Colonel has been assigned to Thong Lor police station and he has made a press announcement that Thong Lor police will only be stopping and searching foreigners that are acting suspiciously, for example, if you act startled when you see police. Given all the stories that Westerners are hearing about Thai police, I would expect many foreigners to flinch or act startled upon seeing a Thai policeman sizing them up. Anyway, at least the Thai police force are concerned about the impact that all of this negative publicity is having, and it just goes to show the importance that social media can play in enforcing tourists and foreigner’s rights in Thailand. 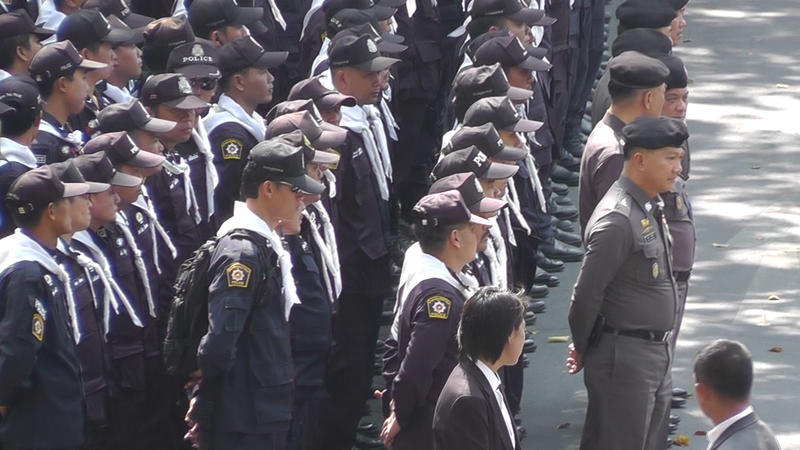 Incidentally, the law in Thailand has always been that police cannot search any member of the public (whether a foreigner or otherwise) unless the police have a reasonable suspicion that such person has committed a crime. This is the same rule as in Western countries. Further, police cannot demand a random urine test in public. The suspect must be escorted back to the police station for such testing, and if the test is positive, then a doctor needs to carry out a further test to confirm the result. On the topic of passports, you do not need to carry your passport on you at all times while in Thailand. Instead, get either your hotel or a local photo/copy shop to make a credit card size copy of your identification page and the page containing your current Thai visa and (if you are in a copy shop) get this laminated. The cost will be anywhere from free to 200 baht ($6), with most places charging 50 to 100 baht. Taking photos of your passport with your phone isn’t sufficient. Notwithstanding all the news about this, I still don’t think it is worthy of putting people off their travels. The police stop and searches, when they occur, are really only a concern for those that are taking or in possession of illegal drugs. Due to the immense social media pressure, the police have significantly reduced the stop and searches in any event.